For the 5th day in a row, our star is naked and clearly blushing! The blank Sun is showing a total absence of sunspot activity. 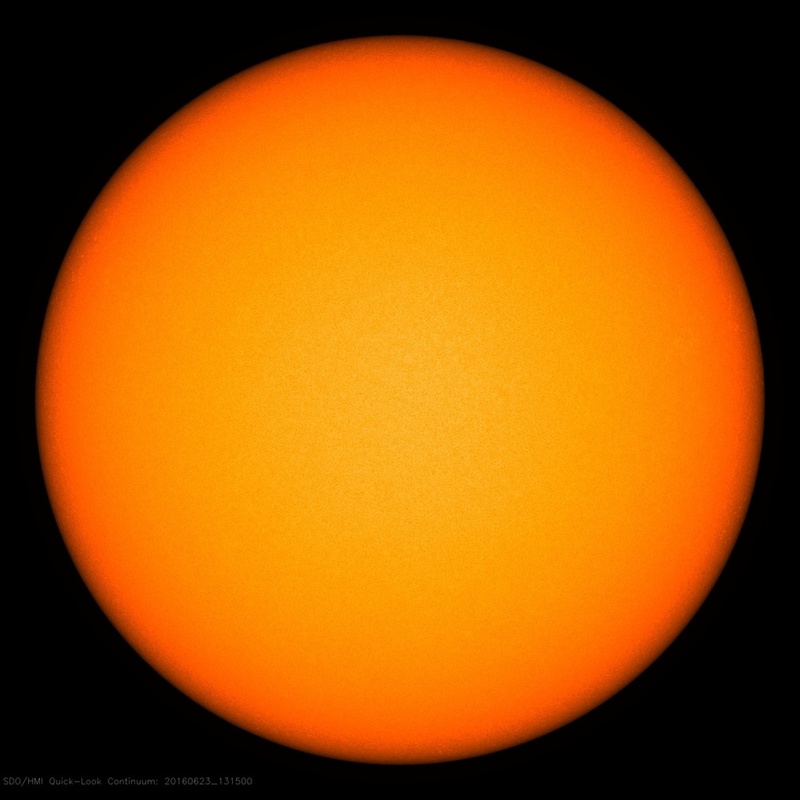 As a result, solar activity is low. NOAA forecasters say the chance of a strong solar flare today is no more than 1%. For the second time this month, the sun has gone completely blank. On June 4th, the sun went completely spotless for the first time since 2011 and that quiet spell lasted for about 4 days. Sunspot regions then reappeared for the next few weeks on a sporadic basis, but are once again completely missing from the surface of the sun. Spaceweather.com reports: The Earth-facing side of the sun is quiet, but the farside is not. We know because on Saturday something exploded there, hurling a cloud of plasma over the sun's eastern limb. NASA's Solar Dynamics Observatory recorded a movie of the high-flying debris: Within a few days, the underlying blast site should reveal itself as the sun's rotation brings the active region over the horizon. We shall see if it is a large sunspot or something less threatening. Until then, the visible disk of the sun remains blank and the odds of an Earth-directed explosion are low. NOAA forecasters say there is no more than a 1% chance of strong solar flares on June 26th.